Magnificent Ride - Small Group - Extraordinary Accommodation - Our Dealers Select Tour is our example of the best Australia has to offer. We've hand picked all the best roads and rooms to make this the trip of a lifetime. 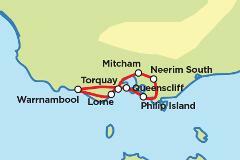 Ride one of the most famous and best motorcycling roads in Australia, the Great Ocean Road and end up at Phillip Island and the unique wildlife attractions it provides. From the Reef to the outback, through ancient tropical rainforest and vast savannah grasslands, riding in North Queensland with its ever changing landscapes is an unforgettable experience with natural wonders around every corner. 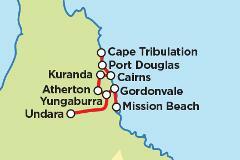 Join us on this trip from the bottom to the top of Australia. 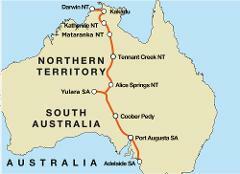 Leaving from Adelaide in South Australia we will travel through Central Australia and on to Darwin at the “Top End”.